The port of Rotterdam achieved good results in the first half of the year. Total throughput increased by 6.8% compared to the first half of 2014. This growth was almost entirely accounted for by the throughput of oil products (+29.7%), crude oil (+8.3%), containers (+3.7% in TEU) and roll-on/roll-off-transport (+9.6%). The throughput of dry bulk (agricultural bulk, coal, ores) fell across the board. For the first time since 2010, the number of sea-going vessels increased considerably (+3%). In the first half of the year, the port did not experience any significant nautical incidents. The net result grew by € 3.1 million to € 122.5 million in the first half of 2015. Turnover in the first half of 2015 increased by € 14.7 million compared to the first half of 2014. Both the seaport dues and the revenues from contracts rose. The operating expenses were higher, mainly due to higher running costs (€ 5.1 million). In addition, depreciation increased by € 9.0 million as a result of a one-off depreciation. On the other hand, financial income and expenses were lower due to periodic repayments and an extra repayment at the end of 2014. The income from participating interests rose by € 4.1 million. Total investments are expected to fall from € 189.3 million in the whole year of 2014 to approximately € 160.0 million in 2015. The prospects for the development of the port are reasonably favourable. The Port of Rotterdam Authority will continue to concentrate on mature markets (such as refining and chemicals), growth markets (such as containers and LNG) and new markets (such as offshore and bio-based). But the growth, innovation and expansion of activities in the port will not come about of their own accord. There is stiff competition with other ports and the business world has to do its utmost to achieve results. The total throughput in the Port of Rotterdam increased significantly in the first half of the year. This was attributable to a combination of the trends in various segments. In particular, the increase of mineral oil products by almost 30% (equal to approximately a fifth of the total throughput) had an extremely positive impact on the total growth of 6.8%. In total, throughput of the category dry bulk fell by 4.9%. Specifically, agricultural bulk showed a significant decline (-18.4%) due to good grain and rapeseed harvests in Europe causing less to be imported as well as less soya being imported from South America. The throughput of iron ore and scrap also declined (-3.3%); this was attributable to the continuing low demand for steel and the overhaul of one of ThyssenKrupp’s blast furnaces. Similarly, the conditioning of coal fell (-2.2%). The two new Maasvlakte power stations owned by Engie (previously GDF Suez) and E.ON became operational. This caused the transport of coal to these stations to increase. However, at the same time, significantly less coal was being used in Germany due to the increase in the generation of sustainable energy (with priority in the power grid) and the use of brown coal. In addition, there was a mild winter. The fact that the two new Maasvlakte power stations became operational failed to compensate for these other factors. The throughput of other dry bulk, including biomass, fell slightly (-3.6%). Recently, Marcor announced that, in addition to its floating storage in Waalhaven, the company is to become active onshore: the company intends to construct 260,000 m3 of storage capacity for, primarily, agricultural bulk and minerals in the Hartelstrook area (Maasvlakte). For that purpose, the Port of Rotterdam Authority will realise nautical infrastructure comprising four berths. The throughput of liquid bulk increased in total by 15.4%. The relatively low oil price resulted in a build-up of stock but, at the same time, was largely responsible for the refineries having considerable margins. This caused the capacity utilisation rate of the refineries to be fairly high, for which large amounts of crude oil were imported. Consequently, the volume of crude oil rose significantly (+8.3%). As substantially more oil was refined in North West Europe and Russia, there was an oversupply of fuel oil in this part of the world. Coinciding with a period when the price of fuel oil was subject to ’open arbitrage’, this resulted in exports to the Far East via Rotterdam increasing sizably. Throughput of fuel oil, therefore, rose by 11 million tonnes, an increase of 50%. The Port of Rotterdam is a turntable for oil products and profits from these imbalances and fluctuations in the market. The import of gas oil and diesel rose slightly while marginally less petrol was exported. In total, the throughput of oil products was 29.7% higher than last year. The Amsterdam-Rotterdam-Moerdijk-Antwerp region continues to be of interest to oil multinationals, evidenced by the large investments that are currently being made in Antwerp and Moerdijk, amongst other places. In the coming years, continued investment in the modernisation of Rotterdam’s large refinery complexes is also anticipated. Although the extent of throughput of LNG is still modest, it more than doubled in the first six months of the year (+106.6%). The principal reasons for this were the gradual decline of the LNG price in Asia and the increase in the re-export of LNG to industrial clusters in Europe; where there has been a shift from fuel or gas oil to LNG as the fuel for production processes. Currently, two highly conspicuous investments are the construction of a biopropane unit at Neste Oil’s biofuel plant and the construction of an LNG Breakbulk terminal, both in the Maasvlakte. The latter will be an important link facilitating the use of LNG as a transport fuel. Already, inland vessels and trucks can refuel with LNG in Rotterdam, several inland vessels sail on LNG, and the first sea-going vessels fuelled by LNG, the so-called dual fuel systems, are being launched. The number of inland vessels refuelling with LNG doubled in the first half of the year to roughly 37. The throughput of other liquid bulk was stable (+0.6%). Container throughput increased by 3.7% in terms of TEUs and 2.3% in tonnes. The gradual recovery of the European economy is the most important cause, followed by an increase in transhipment traffic (+6.6% via feeders). The latter reflects the most important trend in this sector, namely the continuing trend of increased scale. Rotterdam regularly welcomes a new version of the ‘world’s largest container vessel’. And the end is not yet in sight: currently there are nearly 50 orders for vessels exceeding 18,000 TEU. Rotterdam lies on deep waterways and, consequently, is accessible 24/7 for the largest completely laden vessels. This half year, the number of second calls of container vessels exceeding 10,000 TEU increased from 35 to 90. A second call is when a vessel, initially arriving in Europe, sails to Rotterdam first, unloads a large number of containers there, and subsequently calls at several other ports before returning to Rotterdam to load the vessel as full as possible before (usually) setting sail for the Far East. Short sea shipping is not growing quite so quickly (+1.6%). The positive effect of the growth of the British economy was partly compensated for by a decline in the coastal trade to the Baltic area, particularly Russia. The two new terminals at Maasvlakte 2 (APM Terminals and RWG) became operational in the first half of the year. The scope of the container throughput in the new terminals is growing gradually but is still modest. Approximately 500 people are currently working in the new terminals. In the past six months, two issues have played a role in the area of employment in this sector. The first was whether RWG should conclude a CLA and, if so, which employees it should cover. This discussion was wound up when a CLA was concluded for part of the personnel. The second issue was the potential redundancy of employees working in the terminals, specifically in Maasvlakte 1, when the new terminals become fully operational. Over the past six months, the trade unions, employers, Deltalinqs and the Port of Rotterdam Authority have investigated how many people will be impacted and when the redundancies may possibly become effective. It has been agreed that, during the second half of the year, solutions will be explored and assessed in terms of impact and costs. The strong growth in the first quarter was responsible for causing congestion in the handling of inland vessels, in particular. A number of initiatives ensured this situation improved in the second quarter, but it remains an important area of attention. In the coming years, the container market is expected to remain unsettled, mainly because the capacity of the ships is growing faster than the demand; consequently, freight rates are under pressure, consolidation is anticipated and sailing schedules will have to be revised regularly. This will cause the market share of the ports to fluctuate; however, Rotterdam has a favourable starting position and should be able to win market share in the medium term. In the breakbulk segment, the roll-on/roll-off traffic increased by 9.6%, particularly as a result of the positive trend in the British economy and the strong British pound. Furthermore, in June strikes in Calais ensured the ferries to and from Rotterdam were extremely busy. Other general goods fell by 12.0%. The reason for this fall was that throughput was exceptionally high in the first quarter of 2014 due to, amongst other things, the transport of cranes for the new container terminals in Maasvlakte 2. In total, the throughput of breakbulk increased by 4.4%. At the beginning of this half year, Pioneering Spirit, the world’s largest vessel, arrived at Maasvlakte 2 to be assembled. This year, this Allseas-owned vessel will ensure 645 man-years of work, both on board the ship and at two test and assembly shipyards in the port (Broekman Logistics and Keppel Verolme). In June, it was made known that the Sif Group and Verbrugge were to build a terminal in Maasvlakte 2; this terminal will manufacture and ship monopiles for offshore wind turbines. It will also strengthen the regional offshore-cluster and create 200 new jobs. The number of ships which, via the Environmental Ship Index, have acquired a discount on their seaport dues has increased by 48% to 969 (of the 14,850); this means the level of pollution caused by ships is falling. Measurements taken by the DCMR Environmental Protection Agency in the Rijnmond region also demonstrate that the air quality in the region has been improving each year. Structurally, all concentrations of pollutants (such as nitrogen dioxide and particulate matter) are declining, with the exception of ozone. In the Rijnmond region, road traffic is the largest source of various high – but local – concentrations of pollutants. Since 1 January 2015, the SECA for the North Sea has been made more stringent. In this area, the maximum permissible sulphur content of the fuel used by ships is now 0.1%; previously it was 1%. The first measurements taken by DCMR indicate that this has resulted in there being about 20% less SO2 in the air in the western part of the region. Good accessibility is crucial for the Port of Rotterdam. This relates to both connections with the hinterland and connections within the port itself. Recently, a great deal of attention has been paid to improving the rail link to the hinterland, specifically increasing the number of railway services between Rotterdam and South Germany. In the port itself, three infrastructure projects are currently in a preparatory phase. Recently, agreement was reached with the Ministry of Infrastructure and the Environment to broaden the Breeddiep, an important inland shipping route, from 75 to 350 metres. Preparations, mainly of an official and administrative nature, to deepen the Nieuwe Waterweg are also progressing. When completed, this will enable ships destined for the Botlek area to carry up to 20% more cargo. Both projects are scheduled for completion at the end of 2016. To solve the problem of the capacity bottleneck at the Caland Railway Bridge, near Rozenburg, the Ministry of Infrastructure and the Environment and the Port of Rotterdam Authority are cooperating on an alternative route – via Theemsweg – for the rail traffic on port section of the Betuwe Route. The European Commission has recently announced it will make a € 60 million subsidy available for this project. Turnover in the first half of 2015 increased by € 14.7 million compared to the first half of 2014. The reasons for this include an increase in the seaport dues (€ 7.7 million) and an increase in the revenue from contracts (€ 5.0 million). The rise in seaport dues was due to the increased throughput (effect: € 10.8 million) and a € 3.1 million increase in the discounts. Revenues from contracts mainly rose as a result of new contracts and revised tariffs. In the first half of 2015, the operating expenses were higher than in the first half of 2014 (€ 8.1 million) primarily due to higher running costs (€ 5.1 million). This increase is most visible in an increase in port-related expenses, including the maintenance costs of the outdoor area and dredging costs. In addition, depreciation and impairments increased by € 9.0 million; primarily attributable to the premature termination of the contract with Shtandart TT and the settlement of the financial accounts in this respect. The total costs of the project including this impairment were entirely covered by the total revenue. Against the increase in the operating expenses and depreciation, the financial income and expenses were € 1.5 million lower due to periodic repayments and an extra repayment at the end of 2014. The income from participating interests rose by € 4.1 million. 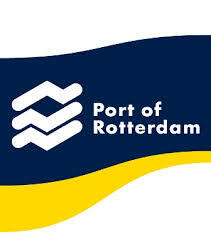 In the first half of 2014, € 4.0 million preparation costs were accounted for in the participation Mainport Holding Rotterdam for the benefit of the new Porto Central Joint Venture in Brazil. The developments outlined above caused the net result in the first half of 2015 to increase by € 3.1 million in comparison to the first half of 2014. The trend in the result is in line with expectations and provides the solid financial basis required to be able to realise investment ambitions and meet commitments. Total investments are expected to fall from € 189.3 million in the whole year of 2014 to approximately € 160.0 million in 2015. This fall ensues from the premature termination of the contract with Shtandart TT and the completion of Maasvlakte 2. In 2014, the investments in Maasvlakte 2 were still as high as € 16.2 million. With investments including the building of the SIF/Verbrugge terminal and the expected realisation of the Container Exchange Route, the Port of Rotterdam Authority intends to maintain an investment level of between € 150 million and € 200 million in the coming years. A healthy cash flow is needed to be able to meet commitments and to continue to be able to invest in the port’s infrastructure. The operating cash flow was € 194.9 in the first half of 2015. Payments related to investment (€ 77.0 million) and the dividend (€ 89.2 million) constituted the largest part of the cash flow from investing activities and financing activities in the first half of 2015. On balance, the total cash and cash equivalents have increased in comparison to the beginning of the financial year (€ 4.0 million). The first half of 2014 recorded a decrease (€ 27.6 million), primarily due to higher investments. In comparison to the first half of 2015, the cash flow is expected to improve in the second half of 2015 (Port of Rotterdam).